Home > art, childless friends, craft, dance, Dance Mom, grandparents, hobbies, Little Diva, parenting MY way, Toddlers in Tiaras > How Seriously Should You Take Children's Hobbies? I'm so glad it went well. Did you take pictures? ... Okay ... Okay ... That's not a big deal... You said what?... Why?? Why the hell would you say that to a four-year old?? ... No. No. That's not okay. Not at all. ... She was already nervous, and now you made it worse. ... Who cares?? ... They're four! They look cute! No matter what they do — even if they do nothing at all everyone's going to clap. Because they're four. ... Okay ... Whatever ... Yeah, I'm going back to the office now. I'll talk to you later. When I hung up, my co-workers started laughing and then guessed what had probably happened, but they were all just as livid as me when I filled in the exact details of what happened, which was pretty close to what they had all guessed, but the actual delivery was worse than what they had imagined. If you haven't figured out from my end generally what happened, my mom went all Toddlers in Tiaras on LD about her performance at the dress rehearsal. And what my mom actually said to my daughter was something like, "[LD], you did okay. You looked cute. But you need to remember tonight that this is the real thing. And you need to make sure you're getting all of your dance moves perfectly, because everyone is watching you, and you can't mess up." My mom also added something to the effect that Pop Culture Dad and I would be watching, and she didn't want to disappoint us, now did she? I got back to my office and texted three friends with whom I'd already had a group text going. One of these friends (hereinafter, "Twin Mom") is a mother (she has two twins a year younger than LD). The other two do not have children, although one is very close to her niece. Twin Mom (who has known both Nonna and me for over 20 years) immediately understood what's wrong. 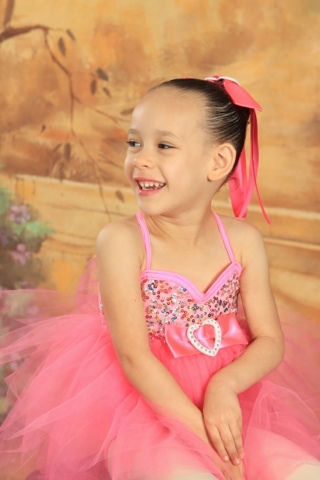 The friend with the niece didn't really opine on my mom's actions, but agreed with me that people would love the four-year olds no matter what, because the recital costume picture I had posted to Facebook was adorable, and who couldn't possibly love that? The third friend thought first friend and I were totally overreacting, because four-year olds should understand the difference between dress rehearsal and the real thing, and what's the point in putting them in dance if they aren't going to do it right? And that's why she's strongly against kids doing dance or there being recitals anyway, because dance should be an art, not a hobby. The conversation went round and round, and I'll spare you the details save to say that the two moms on the chat weren't buying for a minute the fact that children should only be allowed to participate in activities if they're going to do it to the level of craft/art rather than hobby. I've thought about that conversation a lot, and not only have I not wavered, but I actually feel even more strongly about the United Mom Position now. Kids need hobbies. They are little bundles of energy, and that needs to get out (preferably not all over your living room). Also, these early years are the perfect time to find out where your kids' interests lie and for what things they have natural affinities (or things that are just never going to work no matter how hard they try). Yes, at some point, you're going to stop letting your kid change up hobbies or interests every season, because how could they ever get good at something if s/he doesn't continue? But that age is not four. Hell, kids are just barely getting coordinated to do things at three and four, which is why you most programs won't even let them enroll in certain sports or dance before that age. Third friend also expressed how much she hated dance recitals for four-year olds, saying that they were only for the parents. At the time, I agreed with her, but qualified my agreement with the fact that I honestly didn't have a problem with that. And after actually going to the recital and thinking about it more, not only do I still feel strongly about my position, but I think it extends to recitals regardless of the child's age. All recitals for all ages are for the parents and their friends. Recitals are not the same thing as competition or professional performances, and it is absolutely ridiculous to expect that they should be. Recitals are there for the parents, other family members, and friends to see what your child has learned all season [and to justify the amount of money you have spent and continue to spend]. They are there to entertain you. They are not there to get your child a scholarship to Juilliard. Sitting there at my daughter's recital, I watched the girls who I know do teach some of the younger classes and who participate in competitive dance [which, by the way, children are not even allowed to enter until they are eight years old]. They were, of course, good. But they weren't perfect that night either. They probably are more on-point (and en pointe) for competition, but they weren't there to compete. They were there to make their family and friends proud. The recital began with father-daughter and mother-daughter group dances. Do you really think the parents were displaying perfection with their four hours total of prep time? C'mon now. This is not what recitals are about. And, quite frankly, I kind of resent the idea of holding something that is supposed to be a fun, family event to a standard of rigidity you would find in competition. In case anyone was wondering, Little Diva was not perfect that night. In fact, I would venture to say that not a single one of the girls in the seven Three-/Four-Year Old Combo Dance class performances was. No one cared. Throughout every performance, you could hear the audience cooing, laughing, and enjoying every minute. Take a look at this kid. Would anyone dare be disappointed with anything she could do in this outfit? How true. Kids do need hobbies and activities. I read your article with great interest, and found myself nodding in agreement all the way through.